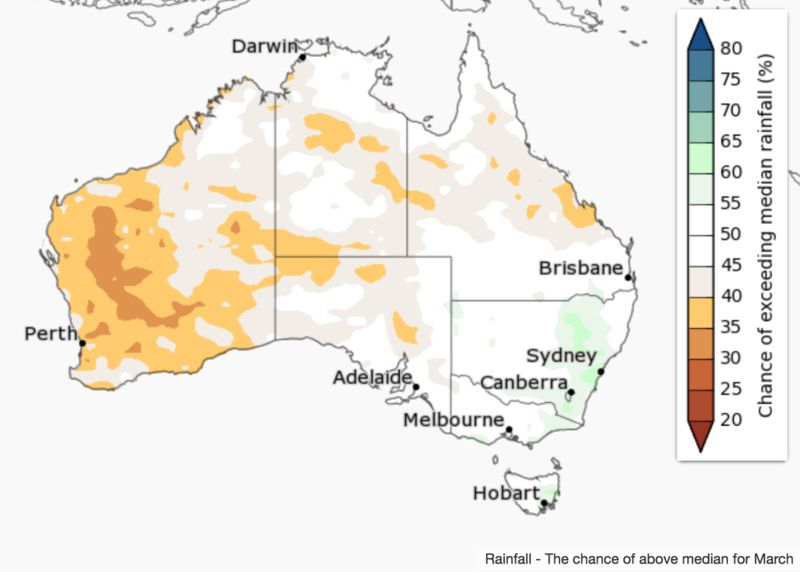 Much of western and southern Australia, and parts of eastern Queensland, are likely to experience a drier than average three months. In contrast, most of central and eastern Australia shows no strong swing towards either wetter or drier than average conditions this February through April. 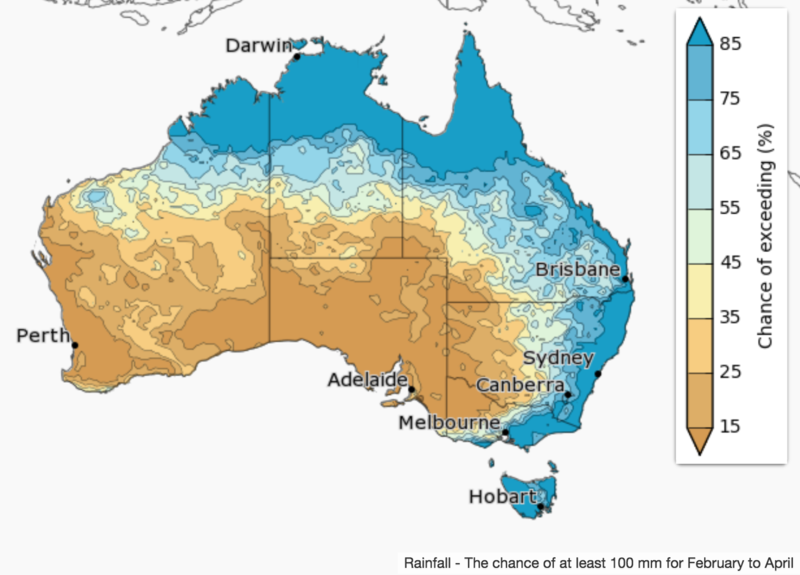 In February, parts of Victoria and NSW over and near the Great Dividing Range have an increased chance of being wetter than usual. Historical outlook accuracy for February to April is moderate for most of the country and high in some tropical areas. Details: Past accuracy for February to April. 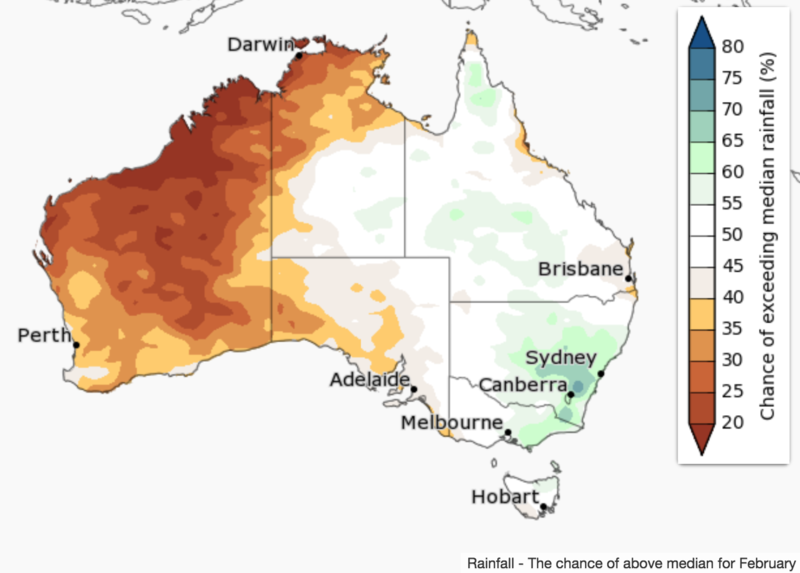 Warmer than usual days and nights are very likely for most of Australia during February to April. 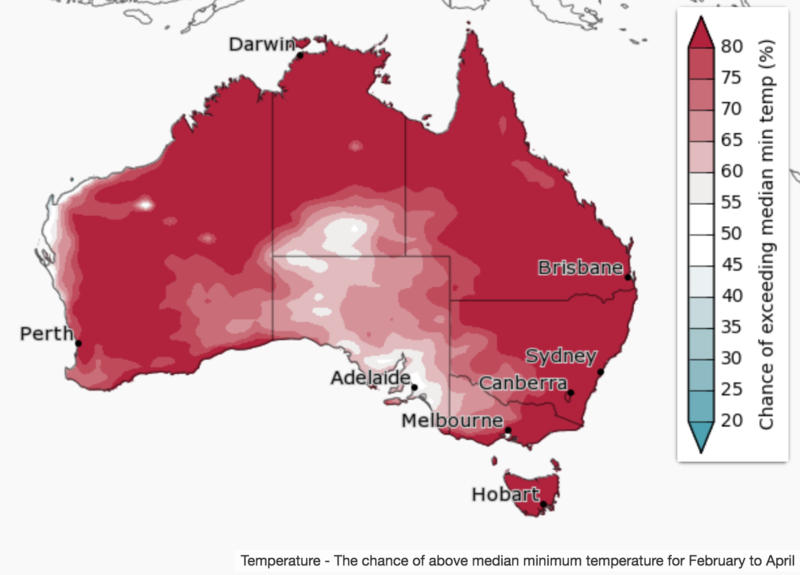 This follows Australia’s warmest December and what looks almost certain to be the warmest January on record. 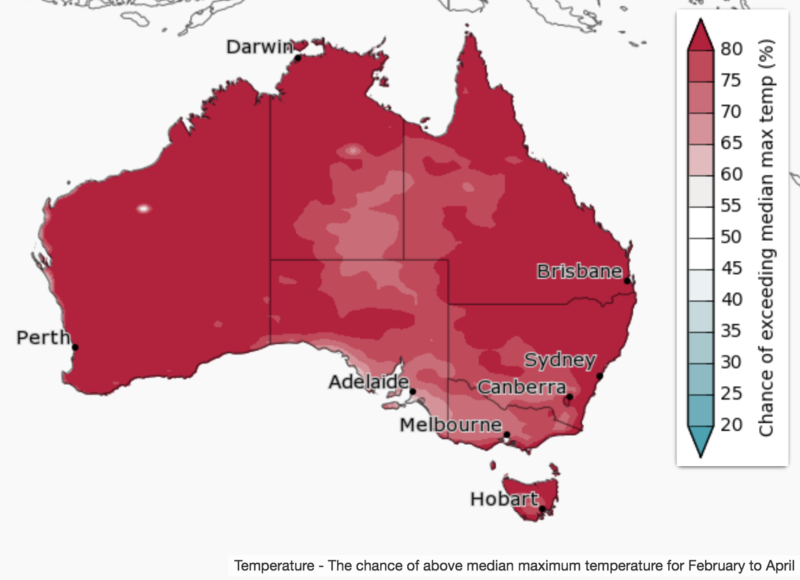 Historical accuracy for February to April is moderate to high across most of the country for both maximum and minimum temperature. Details: Past accuracy for February to April. 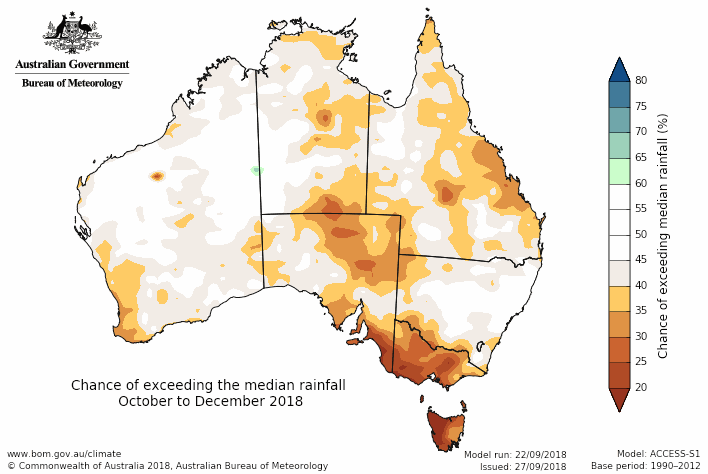 Maps below compare BOM’s rainfall forecast for October to December 2018, issued in September 2018, with actual rainfall deciles recorded over the October to December 2018 period.